Most of our day is spent at our workplaces, and that is why accidents and injuries in the workplace are very common. To prevent these injuries it is really important to know about the prospective sources so as to avoid going to personal injury attorneys. Today we will discuss all the prospective sources and the ways through which these accidents can be prevented. Slips, trips, and falls: About 33% of accidents at the workplace are due to slips, trips, and falls. 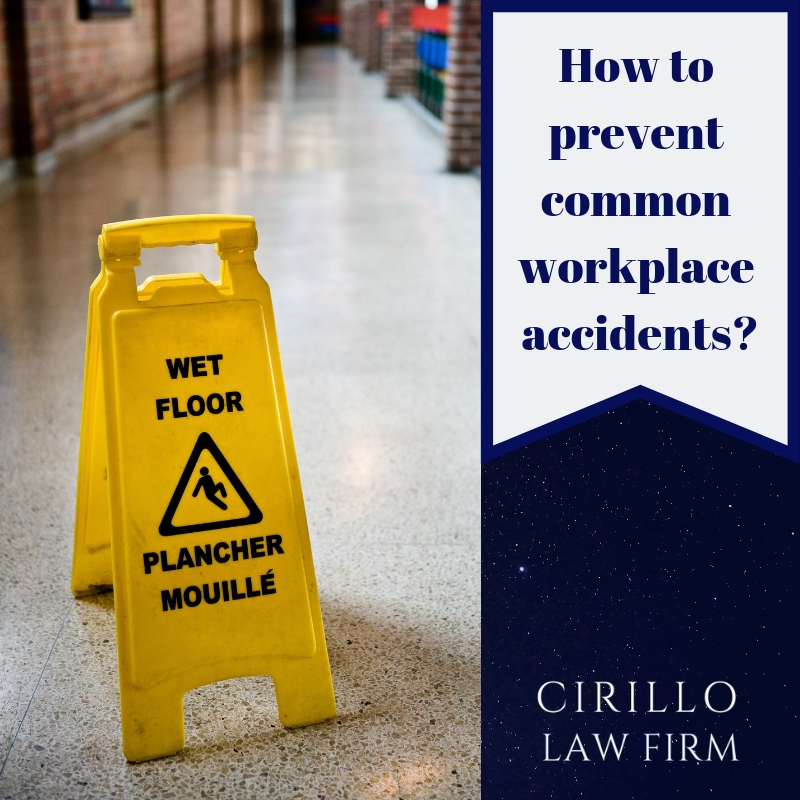 Most of the workers who seek personal injury lawyers help to claim compensation accounts wet and greasy floors, the major reason behind these falls and trips. The injuries involved in such accidents are back injury, muscle pull or tear, broken bones or sprains. Wet, greasy, uneven floors along with view obstruction and improper lightning are some of the reasons for slipping and falling at the workplace. In order to avoid all such accidents, proper housekeeping along with proper maintenance is really very important. Injuries related to moving machinery: Another important reason for workplace accidents is the person caught in moving machinery. Machines which are not properly guarded by machine covers and safety equipment often lead to accidents. Workers get stuck in moving machinery leading to severe injuries. These accidents can lead to crushed hands or legs. Such accidents can also be life-threatening and can lead to permanent disability. To avoid such accidents, everyone must ensure that proper safety precautions are taken. Every part of machinery must be safeguarded to ensure prevention of loss due to accidents. Transportation-related injuries: Where ever they are heavy machinery and trucks, accidents are most likely to happen. Falling from the vehicle, being run over by vehicle or getting hit by moving vehicle are the most common reasons for transportation-related injury. These injuries can range from minor to severe and can even lead to person's death. To avoid these accidents, it is really important to assess the causes of the same, so that proper precautions can be taken. Accident due to fire explosion: One of the reasons that can cause mass damage at any workplace is fire explosion. Such accidents can not only cause injuries but can also lead to mass destruction in terms of life and infrastructure. Families of injured and deceased often seek help from personal injury law firm New Haven to seek compensation. Fire explosions can be avoided by taking care of all the measures related to fire safety. Every fire safety equipment must be checked regularly and must be replaced if required.